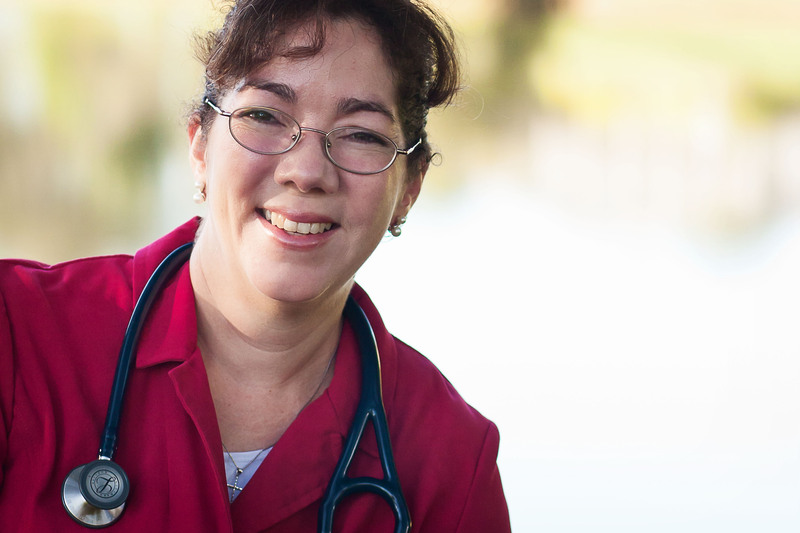 Amaryllis Sánchez Wohlever, MD | Physician Coach Helping Docs Thrive. Keynote Speaker. Author. I am the wife of a pilot-turned-preacher and the happy mom of three terrific children. My life was transformed years ago through a heartfelt prayer. Since then, my work as a family physician turned into a ministry as I learned to care for people from the heart. I strive to care for the soul and minister to the spirit while treating the body. I am passionate about physician wellness, burnout prevention, and Helping Docs Thrive™ in the midst of a broken system in constant flux. As a coach for physicians, I love helping my colleagues develop their strengths, recapture their original calling into medicine, and embark on a path to greater joy, meaning, and purpose in medicine and in life. My latest book, Recapturing Joy in Med icine, will publish around February 2019. You may contact me here if you’d like to receive a message as soon as it is available. Exhaustion and burnout are the expected outcomes in healthcare settings that fail to assess their soil with honesty to identify the overgrown weeds and hidden thorns that keep choking those committed to excellence. The first step in preventing burnout is to find the right soil — a true, patient-centered environment where physicians and their teams are supported so they may care for people with compassion and excellence. Beyond this critical step, the path from burnout to thriving requires steps toward greater autonomy, personal wellness and professional fulfillment, advocacy on behalf of the physician and the entire healthcare team, practice support including EHR optimization, adequate support and appropriate staffing, and much more. Studies show this leads to more engaged and effective physicians, healthier and more satisfied patients, and lower costs for healthcare systems. I served as chief resident and as president of the Florida Association of Family Medicine Residents. I have served two terms on the Board of Directors of the Florida Academy of Family Physicians (FAFP) and chair the Ph ysician Wellness initiative. I feel blessed for the opportunity to enhance physician wellness and prevent burnout throughout our state and nation. I am a graduate of the Florida Medical Association Leadership Academy and assisted the launch of the FMA’s statewide Healthy Living initiative in 2018. As we care for people, our humanity is a gift that must be nurtured but is often neglected. Compassion and empathy connect us and heal; they are powerful medicine for the heart, body, and soul. Yet, in our chaotic and time-starved healthcare reality, this type of connection is increasingly elusive. Patient and doctor alike feel frustrated, isolated, and fractured. As we seek to connect in meaningful ways, we must not neglect our souls, health, and families, and we cannot offer healing without the human connection that burnout steals. Something must change; many things, actually, one at a ti me. It is my joy to walk alongside my colleagues as a coach as they journey to reclaim all burnout steals and discover more fulfilling ways to practice medicine. Most of my coaching is done by phone, and my physician colleagues appreciate the privacy and flexibility this provides. You may contact me here to find out more. As a speaker, coach for physicians, retreat leader, and consultant, I partner with hospitals, residency programs, medical schools, organizations, and medical practices to equip and inspire medical leaders in their life and work. You may contact me HERE for keynote opportunities or to lead a retreat or workshop for your team. For information about one-on-one coaching with me, please contact me HERE. Thanks for sharing your gift for inspiration and finding our individual inner joy at the December 2017 FAFP winter summit. Very timely. I’m so glad you found my presentation inspiring, Dr. Flick. I wish you joy and contentment as you use all your gifts to help, heal, and bless others! Thank you so much, Dr Johnson! So glad to know you found it helpful. Remember to be good to yourself! Even caregivers can be very encouraged by your inspiring words. We don’t have any of the many pressures that physicians have, of course, but we do fall into the same rut of thinking that our needs aren’t as important as those of our loved ones. One necessity I can’t live without is my prayer time. It is never a chore to take time before my day starts to center myself in the Holy One, who gives me the daily strength I need to carry on. However, I do acknowledge my need for counsel and community. This is an area that I need to explore more, God willing. In the meantime, family and friends do try to lovingly support and encourage when they can. I count my blessings everyday.